With holidays just around the corner, you must be thinking about getting your loved ones gifts. Apart from being one of the most enjoyable seasons, the holiday season is one of the most financially stressful ones, too. Buying and receiving gifts feels wonderful; however, it’s a financial burden for all of us. If you are having some financial troubles and you are worried about the holiday season quickly approaching, we have good news for you. There is no need to panic. We are The Gold ATM — the most trusted and highest-reviewed gold and diamond buyer in Atlanta, and we can help you survive this year’s holiday season! Our goal is to help all the members of our community in Atlanta in any way that we can. So we would like to let you know that we have a quick and easy solution for getting some extra cash this holiday season. We provide a number of services that could help you earn some easy holiday spending money. That means that surviving the holiday season doesn’t have to be stressful anymore, which is great news! If you are looking for ways to get some fast cash, The Gold ATM is the right place to visit. As the most prominent gold buyer in the area, we offer the best rates for gold, as well as for diamonds and silver jewelry. In addition, we are the best estate jewelry buyer in Atlanta. That allows us to buy your estate jewelry at the highest prices. Moreover, we provide jewelry loans and pawn loans on all designer jewelry and luxury watches; our interest rates start as low as 5%. You won’t be able to find better rates anywhere in Atlanta — we guarantee that. One more thing — if you decide to sell or pawn your jewelry with us, you won’t have to wait for payment. We pay either cash or check on the same day. As you can see, there are several ways we can help you get some fast cash for this holiday season. 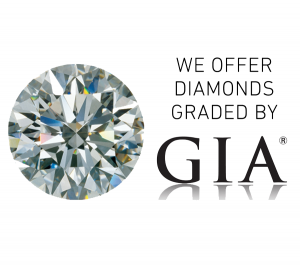 We have more than 300 five-star reviews on Google, which makes us one of the most trustworthy gold buyers, diamond buyers, estate jewelry buyers, etc., in the area. You can rely on us for a fair and honest evaluation, as well as for the best offer in the city. We operate from a safe and secure high-rise office setting, ensuring that all of our customers, as well as their valuables, are in safe hands at all times. Furthermore, our environment is entirely pressure-free. Our customers know that they don’t have to sell or pawn their valuables with us if they are having second thoughts. We own four locations; our main office is located at 400 Galleria Parkway, Suite 1500 Atlanta, GA 30339, where WALK-INS ARE WELCOME. You can stop by any time for a free evaluation and an honest offer. You can also find us in Buckhead, Roswell, and Hartsfield. Note that, at these three locations, we require all of our customers to make an appointment. Be sure to give us a call before you decide to pay us a visit.